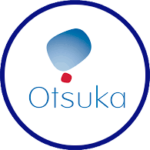 Otsuka established a presence in the U.S. in 1973 and today its U.S. affiliates include Otsuka Pharmaceutical Development & Commercialization, Inc. (OPDC) and Otsuka America Pharmaceutical, Inc. (OAPI). These companies’ 1,800 employees in the U.S. develop and commercialize medicines in mental health, oncology, cardio-renal and nephrology, using cutting-edge technology to address unmet healthcare needs. Otsuka’s most recently approved product in the U.S. is indicated for the treatment of adults with schizophrenia and as an adjunctive therapy to antidepressant medications for adults with major depressive disorder. In the medical device field, Otsuka markets a urea breath test used to detect H. pylori infection in the digestive tract. OPDC and OAPI are indirect subsidiaries of Otsuka Pharmaceutical Company, Ltd., which is a subsidiary of Otsuka Holdings Co., Ltd. headquartered in Tokyo, Japan. The Otsuka group of companies employed 46,000 people worldwide and had consolidated sales of approximately USD 11.1 billion in 2017.